With the heavens unleashing yet another torrential snowstorm along the I-95 corridor (on the first day of Spring, no less), residents of the Washington metro area may be starting to feel like they are stuck in the movie Groundhog Day. Also feeling like they are stuck? Some attorneys in the Washington metro area who were hoping to move to another law firm after the start of the new year (after collecting their end-of-year bonuses); they saw lateral hiring off to a chilly start, with 74 total lateral moves among associates and partners in January. Ninety made the move during the same period in 2014. But a thaw appears to be coming! Even though The American Lawyer reported that, nationally, legal employment is still well below its pre-recession peak and is more or less flat, the D.C. market is making up ground and is on track to rack up its best first-quarter post-recession. 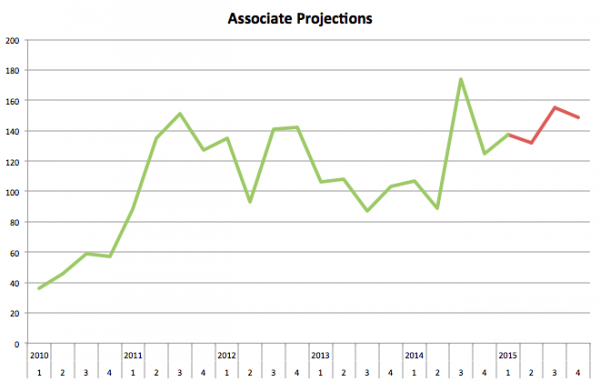 Overall, our Autoregressive Integrated Moving Average (ARIMA) model predicts that 2015 should be a banner year for the D.C. associate market and will grow stronger as the year progresses. That said, not all firms and practice areas will reap equally the benefits of increased demand. As Citi Private Banking and Hildebrandt Consulting noted in their 2015 Client Advisory, “The beneficiaries of the uptick in demand tend to fall into two categories — those with strong brand-name transactional practices, or firms who have demonstrated value to their clients by offering quality work at the right price, while creating a well-managed cost structure to maintain or improve their margins.” Firms with less demand may be those with ill-conceived growth strategies; that depend too on litigation; or maintain top heavy, expensive leverage models, among other reasons. 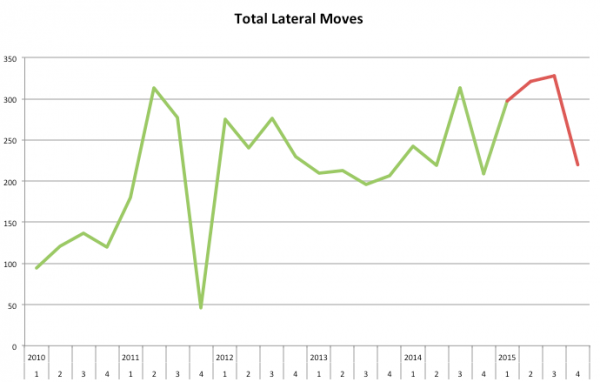 Likewise, when — after launching last week — Big Law Business asked readers what the “hottest,” most active practice area is, the unscientific results were consistent with what Lateral Link’s recruiters are seeing in the D.C. market: Transactional activity has been rebounding, and commercial litigation hiring has been waning. Firms that did not hire corporate associates during the recession are now finding mid-levels in short supply. In particular, D.C. corporate practices need associates with experience with traditional general corporate work as well as tax and real estate practices. Solid candidates from firms with traditionally strong reputations for corporate work – especially candidates relocating from New York firms – will find a seller’s market. In the current market, 2009 and 2010 graduates account for 51% of the current demand. Intellectual property associates remain in demand, particularly associates with advanced degrees in a hard science and patent prosecution experience. Firms are increasingly seeking associates in “newer” practice areas, like technology transactions/licensing/outsourcing and privacy/data security. 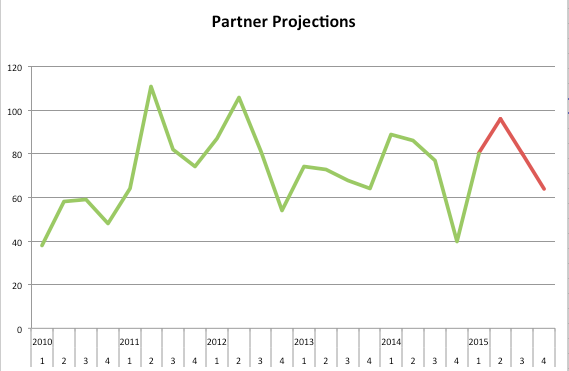 The partner and associate market have operated with surprising synchronicity since 2011, and Larry Latourette, a principal at Lateral Link, expects “a strong lateral year in D.C.” Nationwide, our forecast projects that 2015 will be the second best post-recession year for the partner market, after 2011.